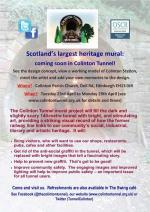 The Colinton Tunnel mural project will fill the dark and scary 140 metre tunnel with bright, and stimulating art. See the design concept, view a working model of Colinton Station, meet the artist and add your own memories to the design. Where? Colinton Parish Church, Dell Rd, Edinburgh EH130JR. When? Tuesday 23rd April to Monday 29th April (see www.colintontunnel.org.uk for details and times). Mouse-over the image to see a larger version of the poster. Community Models Ltd have been retained by the Improvement Service and SCOTS (the Society of Chief Officers of Transportation in Scotland) to undertake a study on the value of the local roads network in Scotland. As part of this study, we are consulting with a wide range of stakeholders to gather primary evidence and insights into the importance of the local roads network to the communities it serves, both today and in the future. 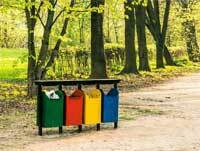 I attach a web-link into a specific survey for consideration by community councils across Scotland. It seeks responses to a number of key questions relevant to the study by Wednesday 24 April 2019. With signs of spring and hopes of summer, experienced camper Peter Byrd’s Definitive Guide to Sustainable Camping https://professionalcamping.com/guides/sustainable-camping-definitive-guide) comes to us at a great time. Whether you are a daytime hill walker enjoying the Pentlands, an overnight camper or a serious wild country backpacker, Peter’s “Leave No Trace” camping principles and his “Ten Essentials of Sustainable Camping” are an invaluable guide for all of us who want to enjoy and preserve our wonderful countryside. @edinhelp @CllrScottArthur Thanks Lauren, much obliged.